In one of our recent blog posts, we investigated the difference between blog posts and landing pages, and discussed their roles in the marketing funnel. The analogy of the marketing funnel, though, goes much deeper than just blog posts and landing pages. It also deals with all of the different kinds of search queries and how your law firm’s website can attract each one. In so doing, the analogy of the marketing funnel is to the legal world what Plato’s Analogy of the Cave is to the world of ancient philosophy. 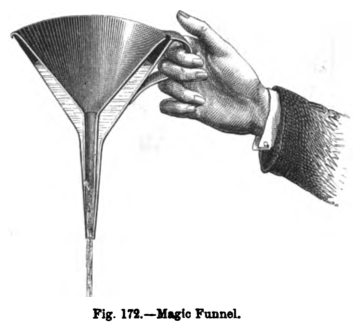 Think of a funnel as your law firm’s online marketing efforts. At the top of the funnel, where the funnel is the widest, are tenuously prospective clients. The clients that are inside the mouth of the funnel up there have heard of your firm, while those outside the funnel have not. At the bottom of the funnel, on the other hand, are clients who are much more interested in hiring your services. Again, those that are inside the funnel have heard of your firm, while those outside the funnel have not. The goal of the funnel is to bring potential clients into it, and then bring them from the wide end of the funnel and through the bottom. In the analogy of the marketing funnel, when they come out the bottom they’ve signed on and are no longer prospective clients. Instead, they’re paying clients. When it comes to your online marketing efforts, the centerpiece of your law firm is its website, while the bulk of the work involves bringing that website to the attention of others. A crucial component of this is search engine optimization (SEO), which is about improving where your site ranks in the organic search results. You want your firm’s site to rank highly because when people use Google to search for things online, the better your site’s rank, the more likely people are going to click on it. However, not every search query is the same. Some are more likely to get a click than others. This is where the marketing funnel analogy comes back into play. Remember that at the top of the funnel were the potential clients who are only vaguely interested in hiring an attorney. These clients are online, looking for information about their legal problems or questions, and have a long way to go before they’ll decide to hire a lawyer. The search queries that they’re making, then, are called informational queries, and are done for the purpose of gaining information, rather than a purchase. These potential clients enter your law firm’s marketing funnel at the very top, and are attracted to your firm’s website with content that deals in depth with their particular problem, rather than general information about your skills and practice areas. This kind of content often focuses on a long tail keyword. Because this is the kind of content that you handle in your legal blog posts, you can think of these articles as an entryway into the funnel up near the lip of the wide end, enticing potential clients towards your firm, up there. Lower down on the marketing funnel, though, are the clients that are much closer to hiring an attorney. Whether because they’ve already done their research or have already decided that a lawyer is in their future, these potential clients are on search engines making transactional searches, instead of informational ones. They’re online to decide not whether to hire a lawyer, but who they should hire. These prospective clients are warmer leads, and enter your marketing funnel closer to the narrow mouth at the bottom. Additionally, because they’re much closer to actually hiring a lawyer, you can attract them to your site with an effective landing page. Finally, there are potential clients who have already decided to hire your firm to represent them, and are only using a search engine to navigate to your site. While these potential clients are very close to the bottom of your marketing funnel, if you’re not careful they could be snatched away by a competing law firm if they rank better than you for your own branded keywords. This entry was posted in Legal Marketing and tagged Blog Content, Keywords, Marketing Terminology, SEO Terminology. Bookmark the permalink.